Through the work and dedication of clinicians, patient groups and health systems across the country, Choosing Wisely is having an impact on the discussions around medical overuse. Choosing Wisely Champions – Through this program, several specialty societies have recognized the work of their members, either as individuals or as a team, who are working to reduce unnecessary care at the institutions where they work. 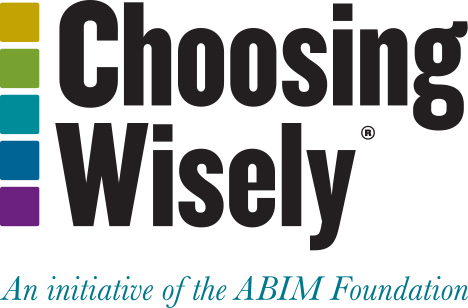 Choosing Wisely Grantees – Through funding from the Robert Wood Johnson Foundation, several delivery systems, hospitals and/or medical groups collaborated with multi-stakeholder community-based groups and physician-led organizations to create interventions to reduce overuse per the Choosing Wisely recommendations. Read stories from our monthly newsletter Updates From The Field. Do you have a Choosing Wisely story you’d like to share? Send us an email.